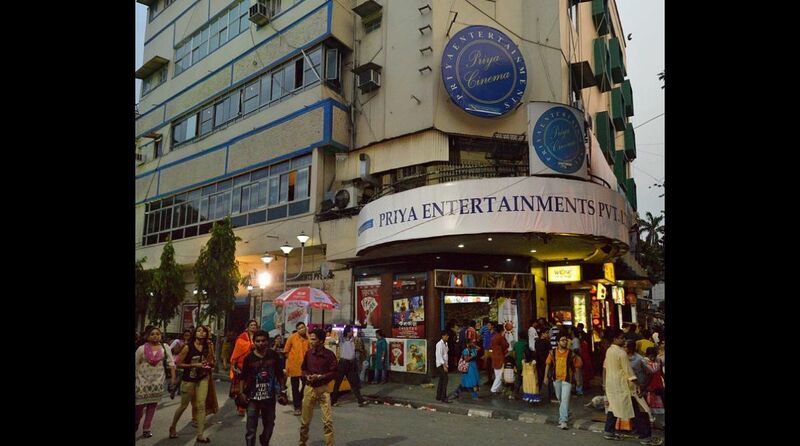 West Bengal Fire Minister and Mayor Mr Sovan Chatterjee on Monday claimed that the massive fire that had broken out on Sunday night inside Priya cinema hall while it was running its night show, could have started inside a “control room”, as per prima facie evidence. The hall has been barred from running any further shows till investigation is completed. A fire had broken out Sunday night inside the Priya movie theatre near Deshapriya Park, while it was running its night show. Heavy smoke quickly covered all the floors of the building, forcing people to rush out of the theatre . The smoke was quick enough to spread inside the movie hall by 10:15 pm approximately, while it triggered panic among the people who looked in every nook and corner to find the nearest exit in order to escape the premises, as recalled by a witness who was inside the theatre with his family. The owners of the theatre, Mr Arijit Dutta and his family, who resided on the floors above the hall, had quickly escaped to the roof. Mr Dutta, who is known to be the managing director of Priya Entertainment Pvt Ltd., was reportedly downstairs at the time of the incident. His office is also located on the top floors above the hall. A total of five fire tenders shortly reached the spot on getting information. Fire and Emergency Services minister Mr Sovan Chatterjee too visited the spot. The firefighters though successfully doused the flames, they faced a great difficulty in entering the building to reach the top floors. Thick toxic smoke compelled them to don oxygen masks. The glass panes had to be broken to let the smoke escape while those on the terrace had to be rescued and brought out of the building, said Mr Chatterjee. One of the staff members claimed that as soon as the fire broke out and smoke started filling up the corridors, the fire alarm was put on. The Priya cinema authorities initially claimed that the fire had started from a momo joint inside the premises.